Wouldn't you love to have such a large swimming pool, especially one in such a beautiful setting? 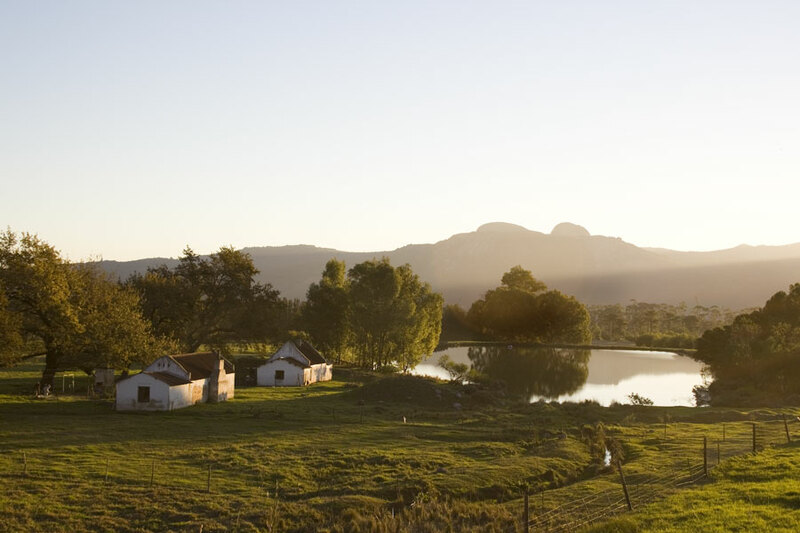 We found this home outside of the town of Paarl about half and hour before the sun set. The air was just starting to cool - it was one of those beautiful Cape Town winder days. Building of new homes seems to have increased several-fold in the past few years. There's a continuous supply of new houses springing up where ever we look. As one gets closer to the city of Cape Town, the frequency of small, new homes increases dramatically. Houses in these new areas look very similar and are smaller and more closely packed together. It's very refreshing when we get out into the country and see homes like these - though the building may be run down, the people who live in them live in an area far more beautiful than most. Posted in General on Thursday, 7 June, 2007 by Paul.